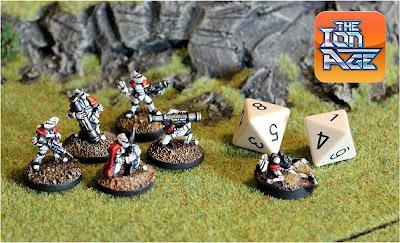 At the weekend a new video was put up giving a look at some play of Patrol Angis the central title in 15mm scale Ion Age tabletop gaming. Dorkside Cookies and Jason made a really nice video with the play though of one of the three scenarios given in the book for the starter set. Enjoy! 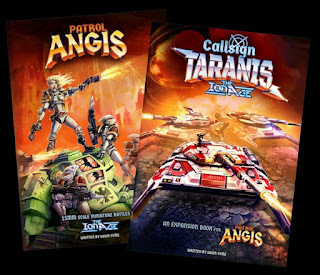 You can see all the books as print and download in the Patrol Angis series on our website HERE. I enjoyed the video speaking as the creator of the rules system. I have played with a dozen different gamers and have seen a dozen games played and heard of a great many more. It was well explained and got the game over well. Patrol Angis is a vicious game of space opera combat and it scales up well in use of Infantry to Battlesuits to bigger vehicles and more forces. Like most games the more you play the easier you find the progress of play. Some players find it hard to accept the base 2+ to hit meaning its normally hard to miss a target. Jason played scenario one 'Stalking in the Forest' and found it challenging as the Prydian player which is odd to me personally as during testing and since the white and red win more than 50% of the time. Tactics are vital against Battlesuits and use of cover too. I did it by being in the woods at all times and using Anvil 888 plus precise fire actions from larger Troop Elements and targeting the closest Yordan suit each activation with little movement favouring ranged fire precise until the way was clear. 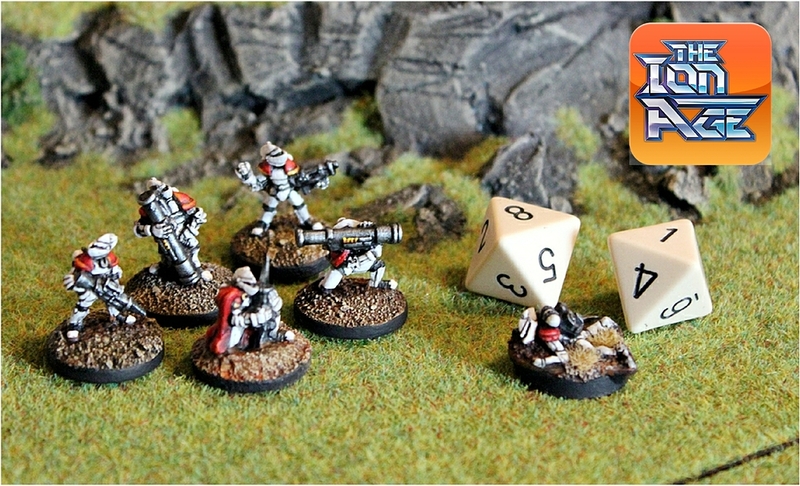 A lot comes down to terrain placement and to the use of support grade weapons as battlesuits are tough for infantry only forces if caught in the open. I do hope Jason plays on and decides to scale up to Callsign Taranis or to get into the Shia Khan when the new book is released. I also hope he finds an opponent for his regular gaming. I have a small circle but often play solo also. Cool stuff. Next month all being well.